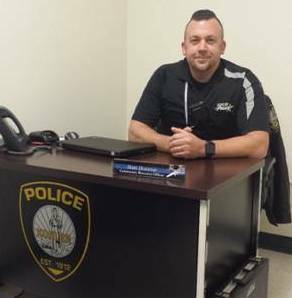 Police Officer Matt Hocevar was reassigned from general patrol duties to the duties of Community Resource Officer (CRO) in October 2018. Matt has been working hand and hand with school staff on a daily basis to ensure a safe learning environment for our children. Matt has been a tremendous asset in that partnership. 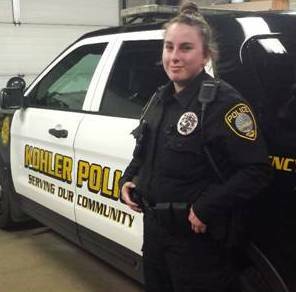 Police Officer Katherine (Katie) Schoch successfully completed the department's 14-week formal Field Training Program. She is now assigned solo patrol duties and will be primarily working the evening shift from 2:30pm to 11pm. C. Cultivation of naturally growing grains, fruits or vegetables, for purposes other than the feeding of whitetail deer, but which inadvertently attract whitetail deer. "No person shall engage in the artificial feeding of whitetail deer within the village limits, except as set forth in Section 7.20.020. "Artificial feeding" shall be defined as the placement of shelled corn and/or other types of grain, salt or minerals, and fruit or vegetable matter, on the ground or in feeders, mangers or any type of structure or receptacle for the purpose of feeding or attracting whitetail deer on any private or public property. 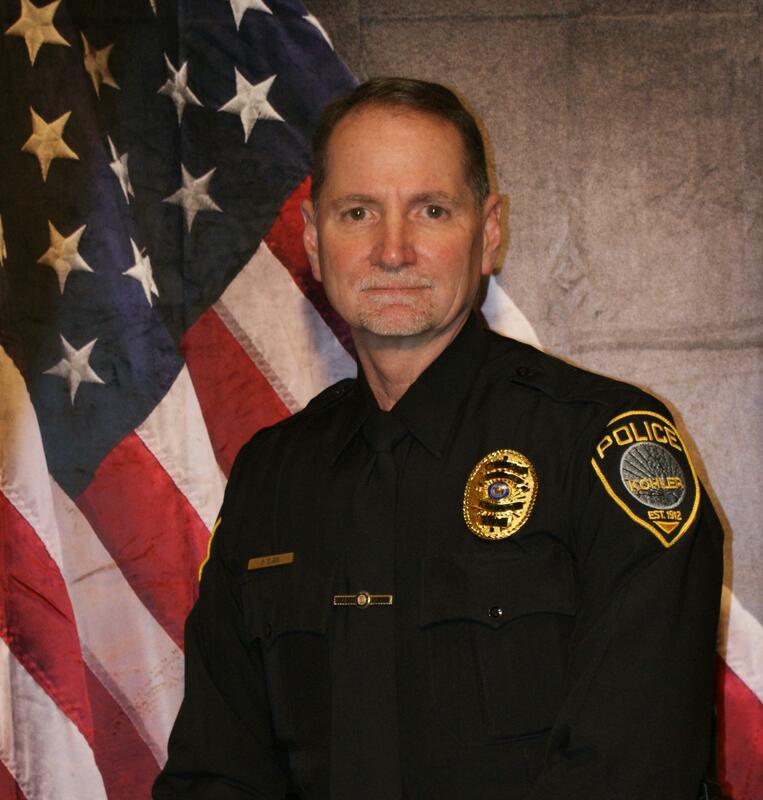 Officer Adam Schmitz, Officer Chad Gross, and Administrative Assistant Jodie Kuklinski were recently presented with Certificates of Excellence. Adam, Chad, and Jodie earned the awards due to their hard work regarding the initial response, the follow-up investigation, and the administrative support regarding the multi-fatality motor vehicle crash that occurred on Interstate 43 on January 18th. On December 6th, the Aurora Healthcare Foundation awarded Klub 55 in Kohler with an Automated External Defibrillator (AED) to be utilized in cardiac related medical emergencies. Along with the donation included hands on training for compression only CPR and AED application. The donation is part of the foundation's "when minutes matter" campaign led by Dr. Steven Zils. The Kohler Police Department applied for the AED donation on behalf of Klub 55. As the snow melts and the accompanying flooding subsides, warm temperatures will bring out more bicycle riders. Young people on bicycles are out having fun. They do not always think about complying with traffic laws as they should. As adults, we should anticipate this and use extreme caution when we see young bicyclists. Save the date for this year's Bike Safety Day to be held on Saturday, June 1st. This is a popular program with young residents of the Village. It has greatly contributed to the safety of our young people and is certainly a factor in the Village's outstanding bicycle safety record.